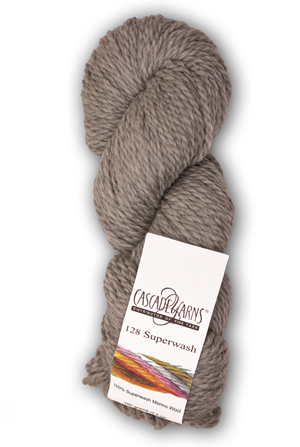 Cascade Superwash 128 & Multis is a chunky superwash merino wool. Great for those "quick" projects. Made in Peru. Superwash 128 and Superwash 128 Multis from Cascade is a wonderfully all-purpose wool, perfect for those times when hand washing is not practical. Think babies! Super soft and brightly colored, Superwash 128 is a chunky 3 1/2 stitches to the inch, making it ideal for quick baby blankets and cozy sweaters. All the high quality and affordability you expect from Cascade!